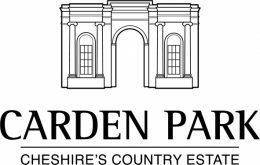 Carden Park Hotel – Cheshire’s Country Estate is surrounded by 1,000 acres of beautiful Cheshire Countryside. With 198 bedrooms, there are 18 flexible meeting rooms holding up to 400 delegates. Private dining options are available along with team building onsite, sporting facilities, a luxurious spa, 2 golf courses and award winning restaurants.